At the Zooniverse (and our managing organization, the Citizen Science Alliance) we have always had a global focus—we maintain headquarters in two countries, our volunteer community hails from across the globe, and many of our projects have been translated into multiple languages. An upcoming event continues to illustrate our international identity: in a couple of weeks, citizen science will be featured in Taiwan at a workshop organized by the Academia Sinica Institute of Astronomy and Astrophysics (ASIAA), one of our partners in the Citizen Science Alliance. The workshop will discuss the history, goals, and process of online citizen science projects and platforms, highlighting some Zooniverse projects as examples. The workshop will take place on Sept. 19 from 1 p.m. to 5 p.m. at Hualian Girls High School in Hualien County, Taiwan. 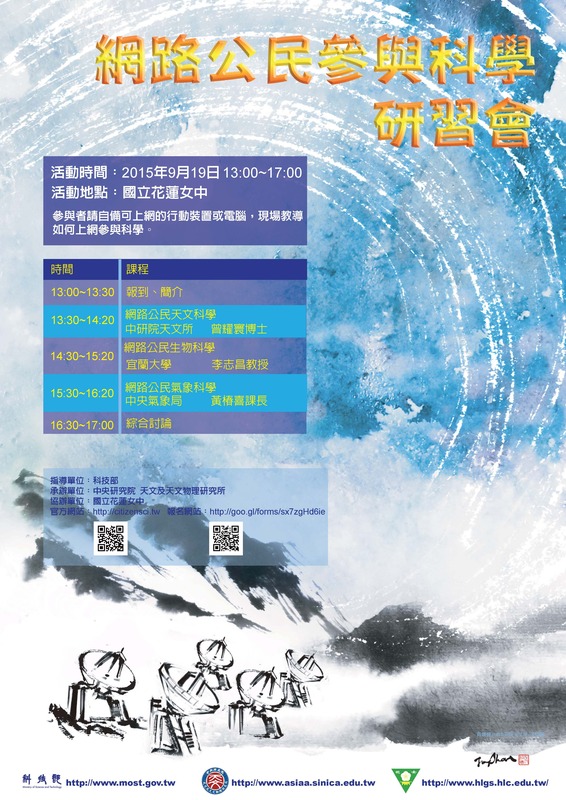 For more information, please visit the event website (in Traditional Character Chinese). Next Next post: Happy Birthday Penguin Watch!